FERPA is a Federal law that protects a student’s privacy interest in his or her ‘education records.’ FERPA provides that educational institutions, such as postsecondary institutions, may disclose education records, or personally identifiable information from such records, only if an eligible student has provided prior written consent, except in several specified circumstances. To permit students to inspect their educational records. To limit disclosure to others of personally identifiable information from education record without student's prior written consent. To provide students the opportunity to seek correction of their educational records where appropriate. Prior consent will not be required for disclosure of educational record to school officials of the University of Maryland who have been determined to have legitimate educational interests. Certain information has been designated "Directory Information" and may be disclosed without prior consent unless a student files written notice. 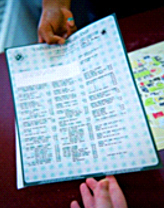 Directory information includes, but is not limited to: name, address, telephone/email, date of birth, major field of study, particpation in officially recognized activities and sports, weight and height of members of athletic teams, dates of attendance, degrees and awards received, most recent previous educational institution attended. Students who wish to limit the disclosure of Directory Information or wish access to their official records, should obtain the appropriate form at the Registrations Counter, first floor Mitchell Building, and return the completed form there. To limit disclosure of Directory Information requests must be made within 3 weeks from the first day of the semester in which the student begins each school year. Such requests must be filed annually within the above allotted time. Students alleging University noncompliance with the Family Educational Rights and Privacy Act may file a written complaint with the Family Educational Rights and Privacy Office, United States Department of Education ,400 Maryland Ave., S.W. Washington, D.C. 20202-4605. For the complete policy on access to and release of student data information see the current edition of the Undergraduate Catalog.